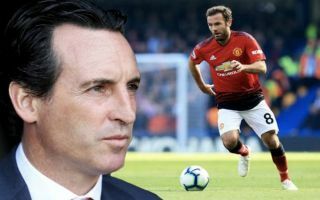 Manchester United midfielder Juan Mata has offered a huge insight into how Arsenal boss Unai Emery works, having played under him at Valencia. The Spanish playmaker starred in La Liga for Los Che between 2007 and 2011, racking up over 120 appearances for the club and scoring 34 goals in the process. Three of those years were spent under the stewardship of Emery, who managed to guide the team to regular top-three finishes, making them the best of the rest in Spain behind Barcelona and Real Madrid. 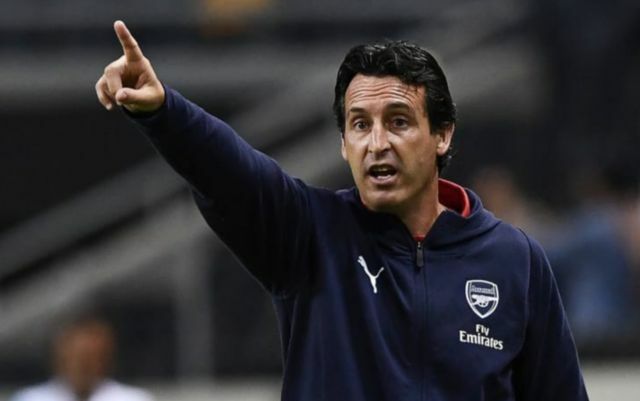 The 46-year-old coach is now in charge at Arsenal and has enjoyed a very strong start to the 2018-19 season with the Gunners, winning seven of his first ten Premier League games. According to Mata, who revealed his former manager’s training ground secrets in an interview on Tuesday, Emery works on set-pieces meticulously and he highlighted one tactic in particular as the hallmark of his free-kick routines. “I remember above all a free-kick we used to do in the middle of our opponents’ half,” Mata told reporters, as per the Daily Express. Emery might not be too pleased when he hears about Mata’s latest comments, which might end up being used against him in the future by rivals in England and on the European stage. However, the fact that the Gunners boss puts so much detail into every aspect of the game will only serve to enhance his reputation further, as Arsenal fans have quickly embraced him as one of their own following the team’s impressive recent displays. Next up for the north Londoners is a fourth-round Carabao Cup match against Blackpool on Wednesday, before a return to Premier League duties on Saturday against Liverpool at the Emirates, in undoubtedly the biggest clash of the week.